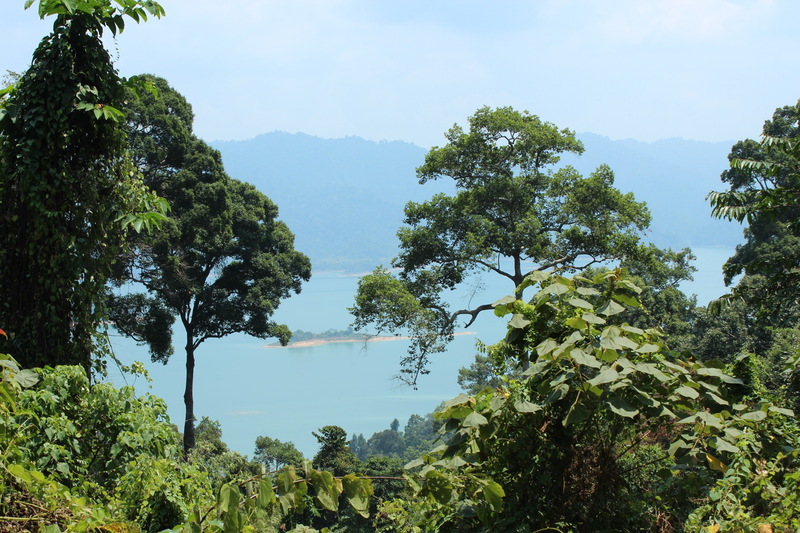 Our 2 day/1 night trip to Cheow Lan Lake included two treks. 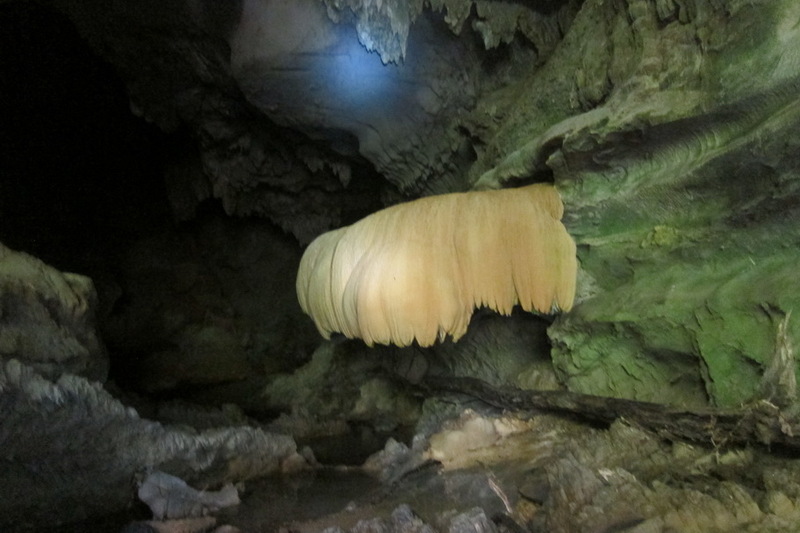 The first trek was to Namtaloo Cave. 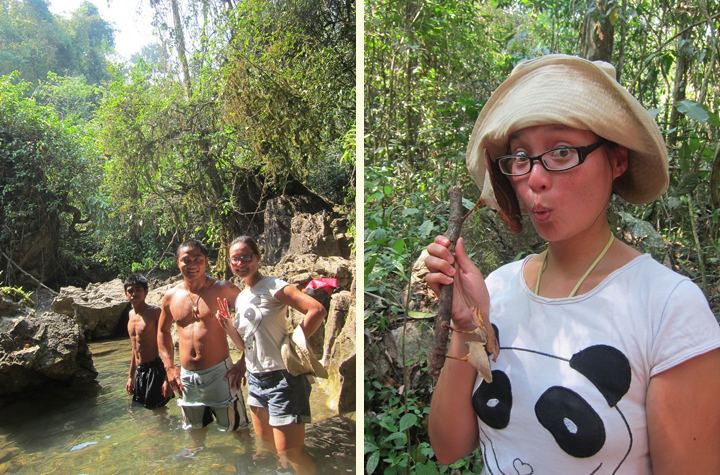 It took about 45 minutes of hiking through the jungle to reach the cave. 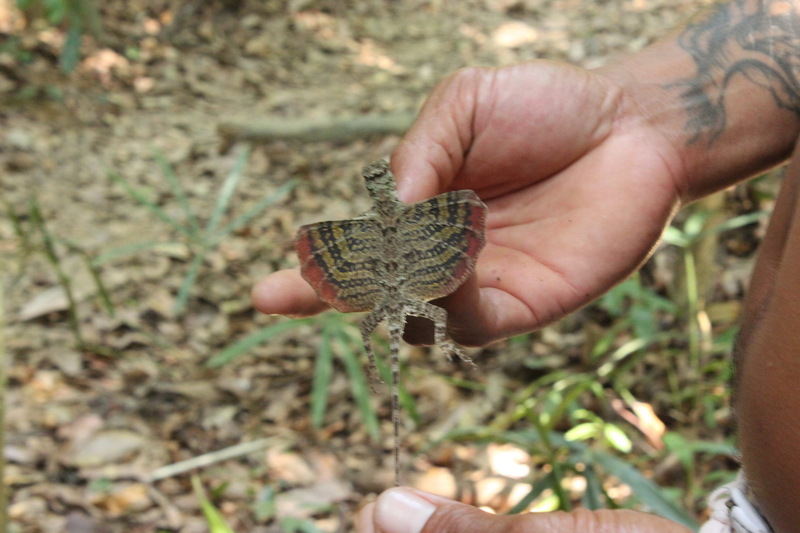 Our guide’s name was Ya Ya, and he was good-natured and easy going. When we told him that I was a slow walker, he assured me that we would take lots of breaks for photos. 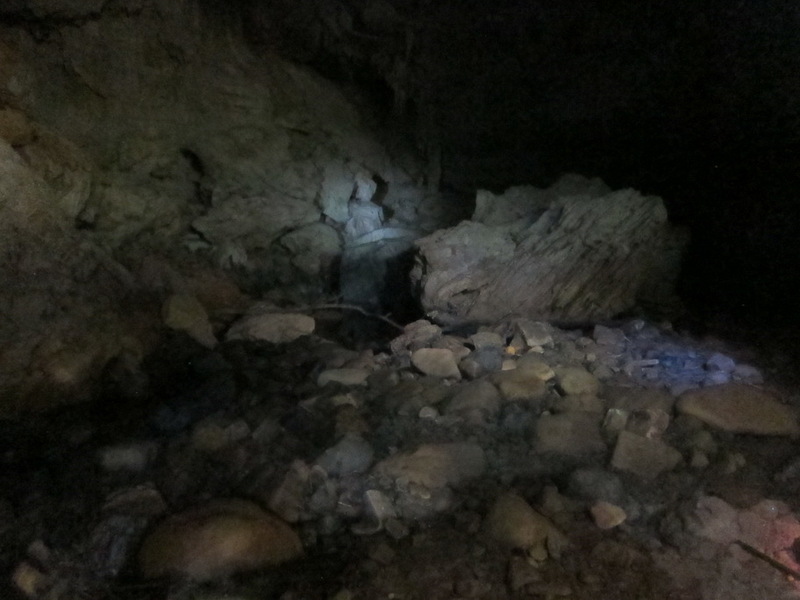 Upon reaching Namtaloo Cave, Ya Ya gave each of us an individual head lamp. He said that it would get pretty dark in there and that we would get wet. 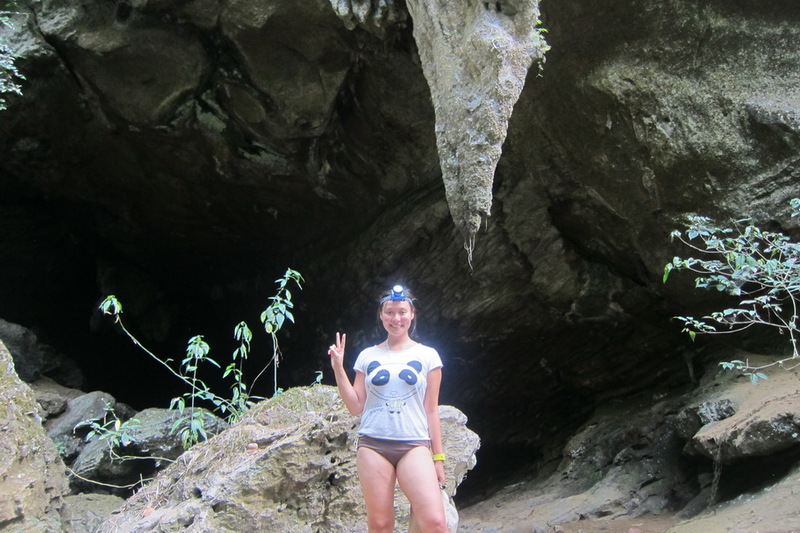 It took an hour to walk/wade through Namtaloo Cave. 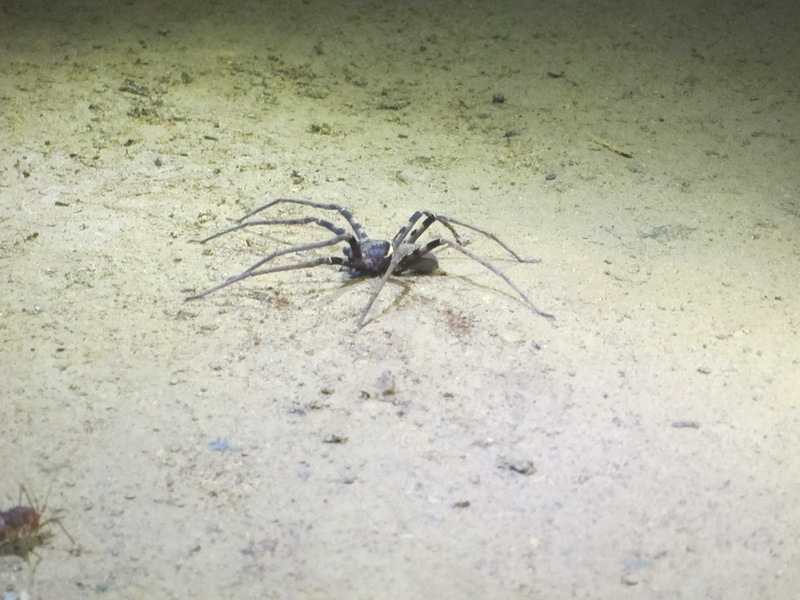 We saw lots of stalagmite, bats, and spiders. At one point, Ya Ya had us turn off our head lamps, and it was pitch black. 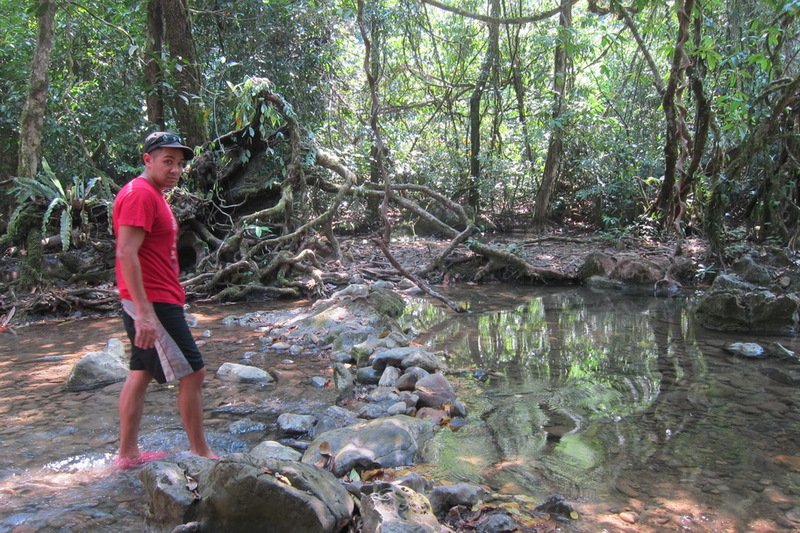 The water was pretty low at first but toward the end, the water was neck-high for me. 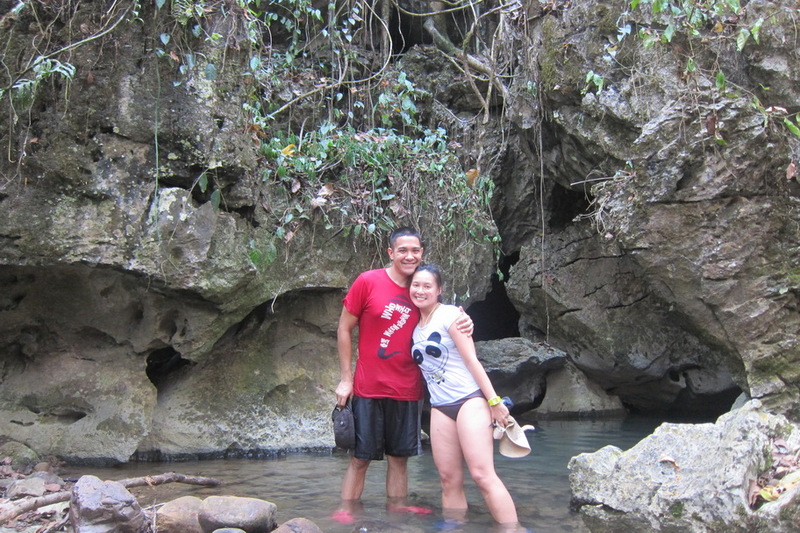 Mr. Selfish and I made it out of the cave completely soaked. 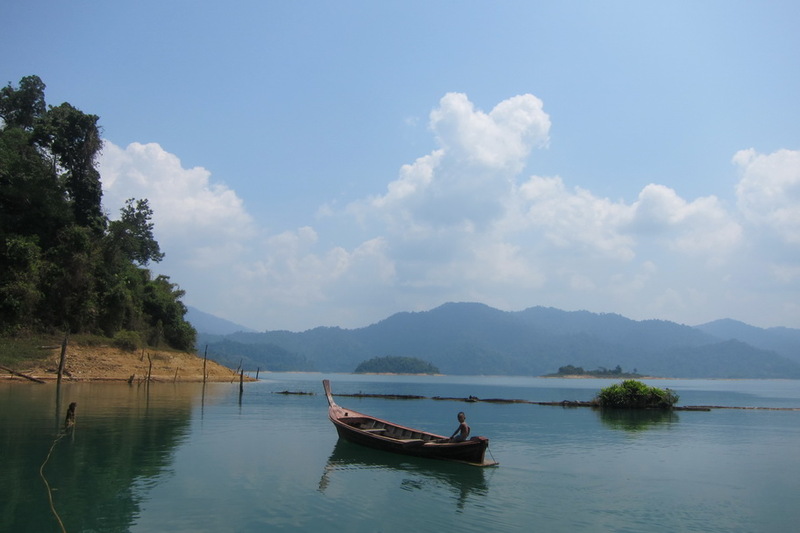 Then, we had to walk back to the long-boat. It was a short trek but the water was really low and our long-boat operator had a difficult time getting the boat started. 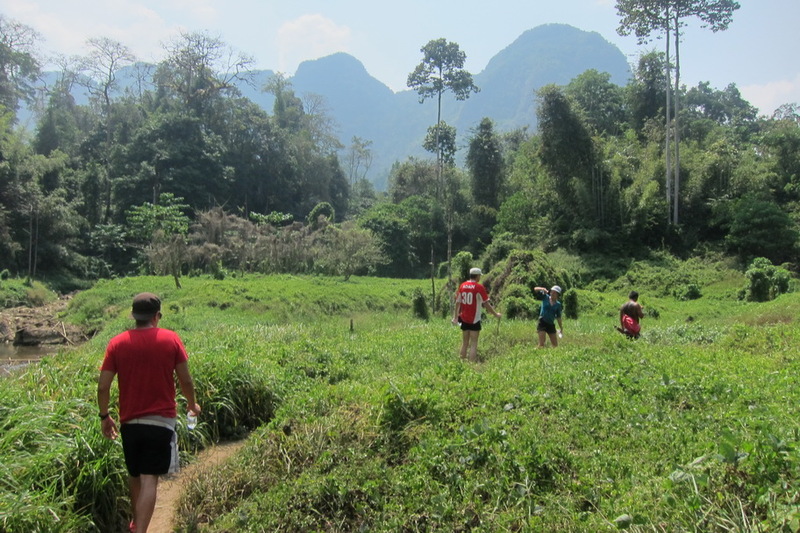 This trek was the highlight of our tour of Cheow Lan Lake. 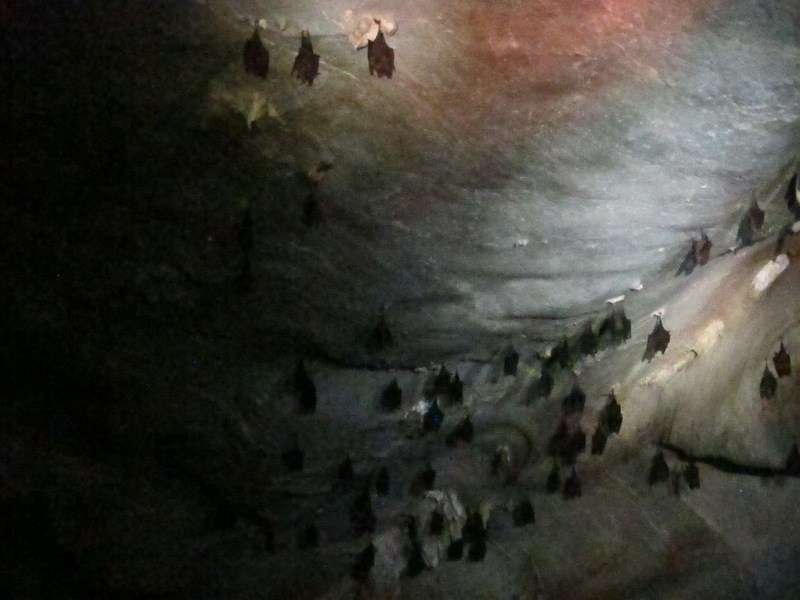 Although I couldn’t take photos, wading on slippery rocks through the pitch black cave was the best part. The next day, Ya Ya took the group on the second trek to the viewpoint. 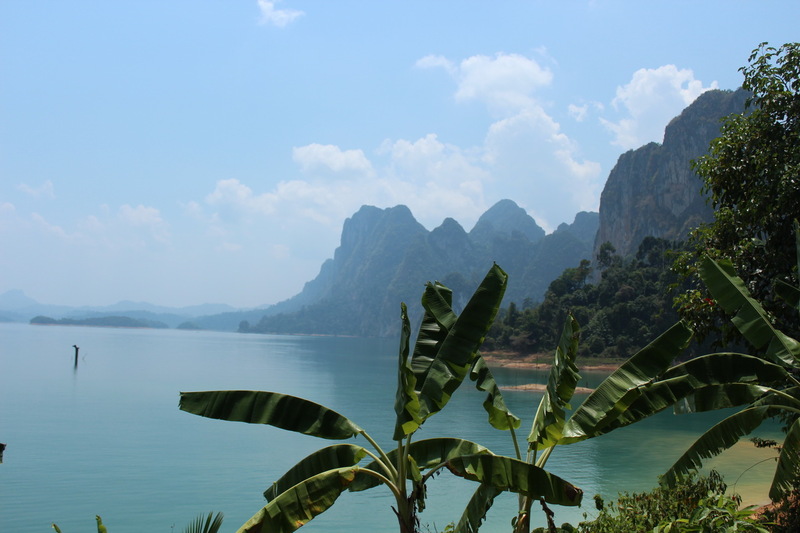 Since “viewpoint” indicates height, I decided to stay behind on the long-boat and relax. 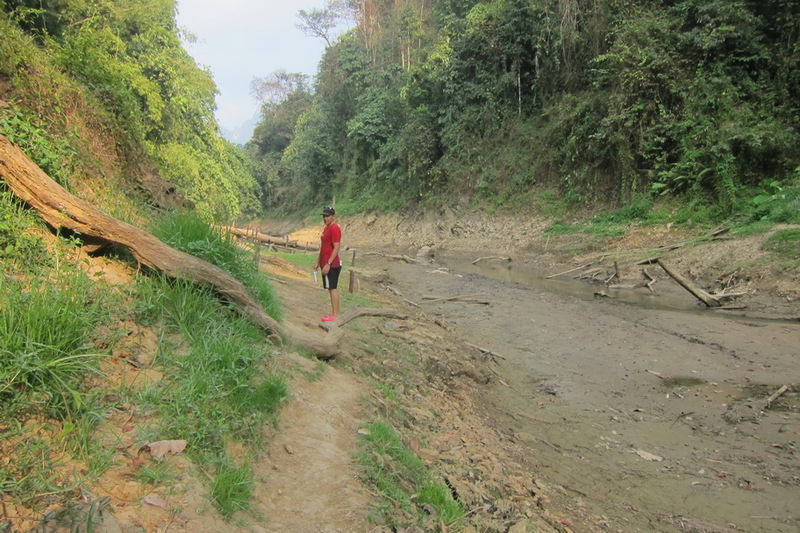 I hung out with the locals for about an hour and a half while the group and Mr. Selfish did the second trek. 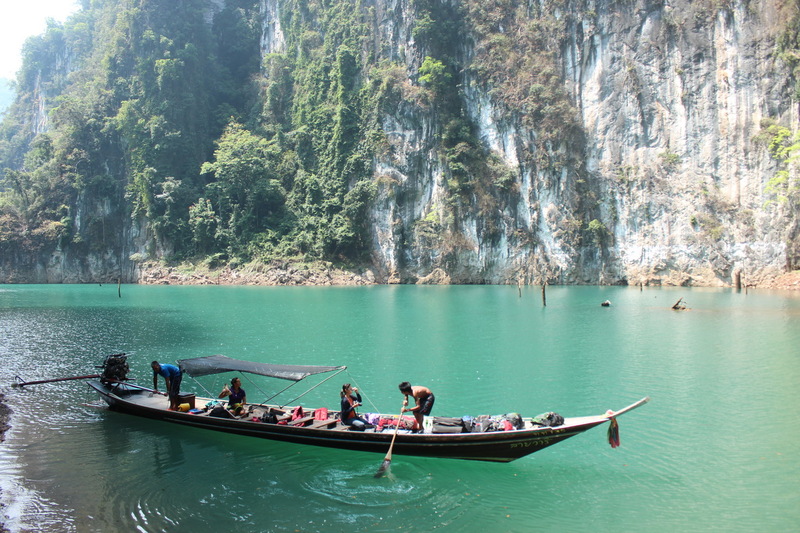 I took photos of the locals, particularly a young boy taking a boat out on his own. 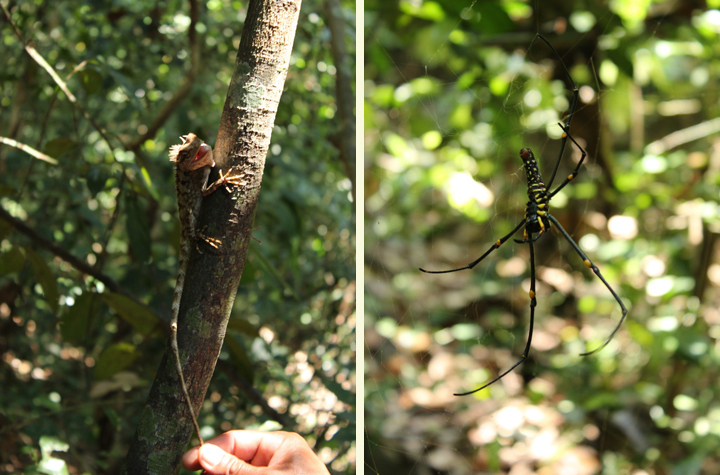 Mr. Selfish did the second trek during which Ya Ya pointed out a variety of animals, including lizards and spiders. The viewpoint was, unfortunately, less than spectacular. 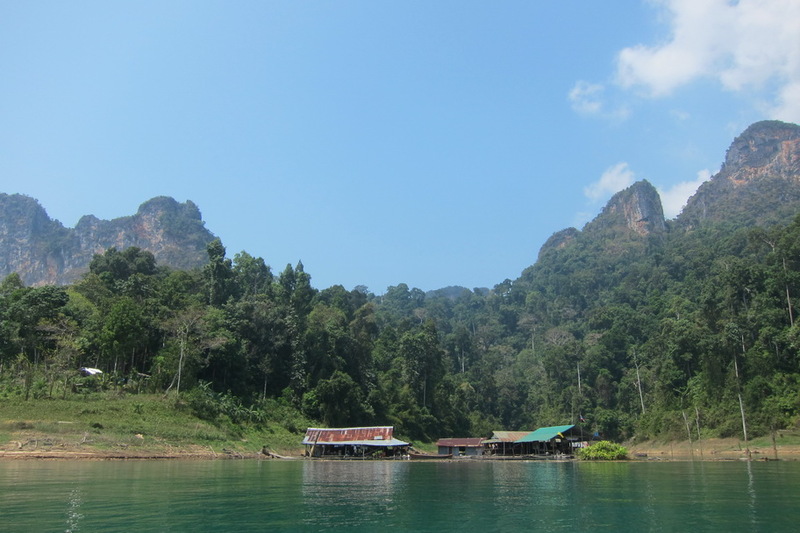 This concludes my posts on our trip to Khao Sok National Park. 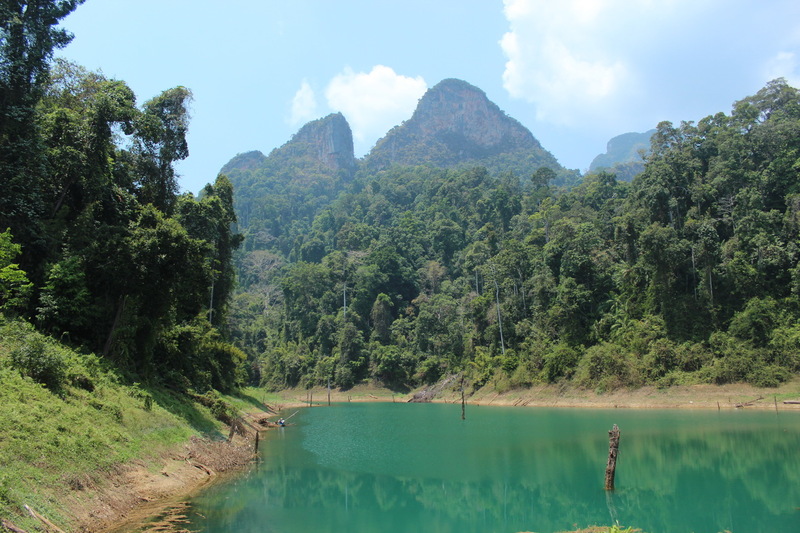 My little cousin recommended Khao Sok to me, and I must admit that she is a bit more rustic and outdoorsy than I am. I did enjoy it but I don’t think I’ll be going back anytime soon.